JAKARTA, Indonesia (AP) — Indonesian authorities said Monday they’re not certain how many people were buried in the collapse of a remote gold mine nearly a week ago but that the number could be as high as 100. 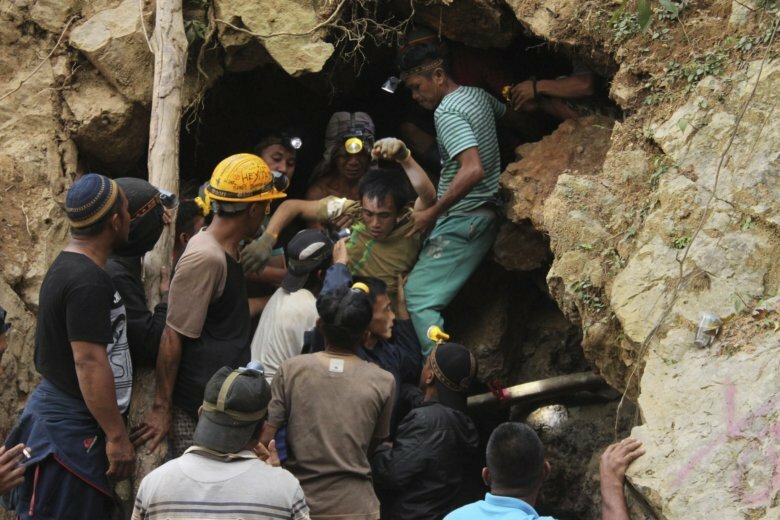 The disaster agency said the official death toll from the collapse of the mine in North Sulawesi’s Bolaang Mongondow district is nine. Nineteen people were rescued with injuries from ranging from minor to serious. “Some say 30 people, 50 people, 60 people, even 100 people because at the time many were mining in big pits, while in small pits it was unknown,” he said. Nugroho said information from relatives is still limited because many of the miners came from other areas. The unlicensed mine collapsed last Tuesday evening due to shifting soil and the large number of mining holes. Informal mining operations are commonplace in Indonesia, providing a tenuous livelihood to thousands who labor in conditions with a high risk of serious injury or death. Media access to the mine located in steep jungle terrain has been restricted since the weekend. The search and rescue effort is now using heavy earthmoving equipment to search for victims. A two-week emergency response period has been declared by the head of Bolaang Mongondow district.